To begin creating your microstore, navigate to Settings > Microstores. Once in the Microstore settings, click on Microstore list. For the next step, click on new in the upper, right corner. Now you will see the “Micro Store Editor”. This is where you can setup your microstore, you can supply names, colors, logos and much more. 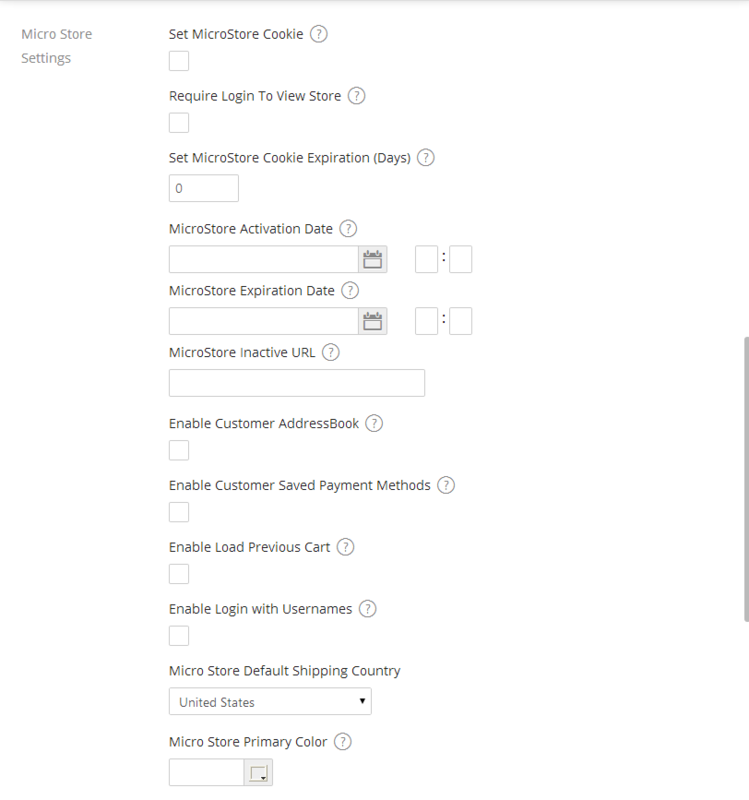 The Micro Store Editor also gives you the option to set cookies, require login to view the store and even set activation and expiration dates. Now that you have created a microstore, it is time to select which products will be available in that store. To do this, you will need to set your active catalog for that microstore. 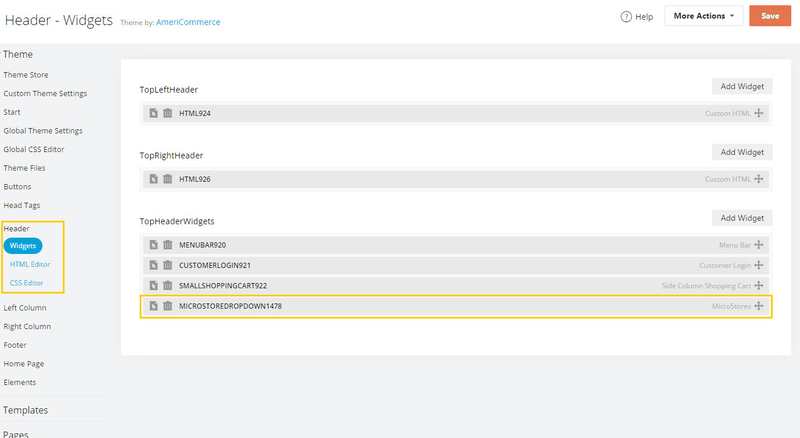 Simply put, an active catalog determines which categories are active for each specific store. The path for the active catalog is Settings > Catalog > Active Catalog. This article will guide you through the steps of setting your active catalog. Once your microstore’s active catalog is setup, your customers need a way to navigate to the microstore. To do this, you can add a widget to your homepage, navigation or footer. For this tutorial, I have chosen to add my micro store selector widget to my header. 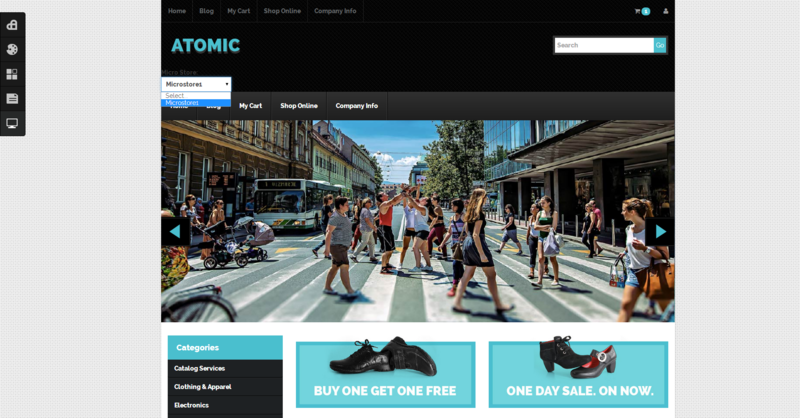 Now, when you view your site, you will see the newly added microstore selector in the header.